Bob started his career at CSC as the part-time Executive Director in 2007 and by 2008, the position became full-time. Since joining CSC, the agency has expanded the range of programs and services its able to offer and has expanded their office space in order to better serve clients. Bob also serves the community by being active on several Board of Directors, serving as the Vice-President of the Fountaindale Library District, Secretary of the Bolingbrook STEM Association, Chairman of the United Way Agencies Division, and as a Board Member with the Will/Grundy Medical Clinic. Bob has two degrees from Lewis University, a B.A. in Business Administration and an MBA. Bob is a resident of Bolingbrook with three daughters and one grandson. Christina studied at University of Illinois Extension. She continued her education with NeighborWorks America, National Council of La Raza, Housing Action Illinois, UNIDOS US, NHNLA and NCRC. Her certifications include the following: Housing Counseling, Financial Literacy, Foreclosure Prevention, Rental Counseling, Pre-purchase Counseling, Post-Purchase Counseling and Fair Housing Laws in accordance with HUD. Adopted the National Industry Standards for Homeownership Education & Counseling. 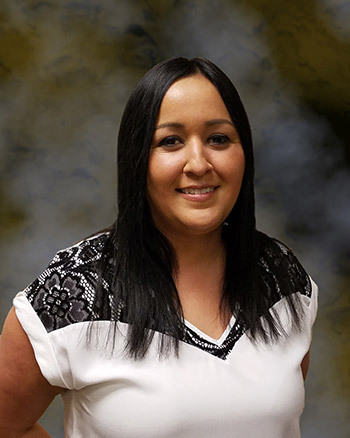 Formally in the banking industry, Christina comes to us with over 10 years of experience in the nonprofit sector focused on Housing Counseling. Her role includes implementing all housing programs and services available for our clients, negotiating workout options for homeowners, Counseling clients for successful homeownership, working directly with the Will County Court Mediation program, overseeing all housing programs and making sure we are in compliance with all HUD guidelines and funder requirements. Patricia holds an Associate’s Degree in Business Management from Illinois Central College and wears many hats in order to support the day-to-day operations at CSC. She provides both administrative and accounting support to the agency’s Executive Director, counselors and staff. Patricia also interfaces with clients in order to schedule intakes and weekly counseling appointments. 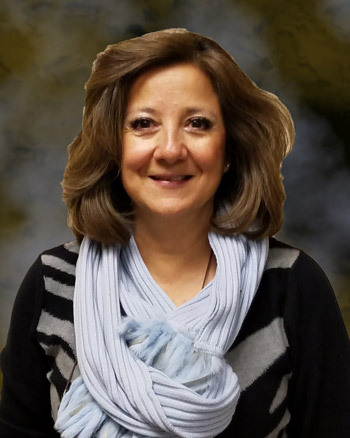 In the past, Patricia was very active with the Romeoville Chamber of Commerce and worked as both a Board Member and an Administrative Assistant over the years. Patricia is also a wife, mother add grandmother who’s in close relationship with her two adult children, but admits missing her son because he lives abroad with his wife and children. She’s a lover of books, enjoys international travel (to visit her son) and is passionate about all three of her grandchildren, with two of them coming from Guatemala and Singapore through the adoption process. Rosalyn enjoys working at CSC as their receptionist, while also working in the hospitality industry for another company as well. She enjoys helping others and is currently attending Joliet Junior College where she’s working on obtaining a degree in Social Work. 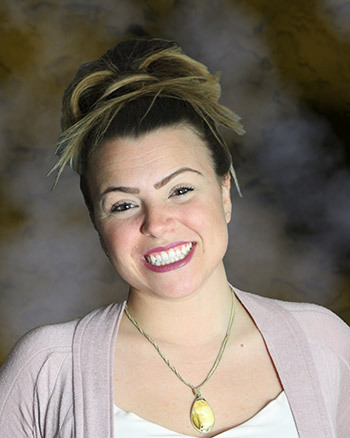 Rosalyn always strives to do her best and provides clients with excellent customer service. Her specific roles include: answering phones, setting up new client files, and scheduling appointments. Mary Alexander-Basta studied Mass Communication at the American University in Cairo, Egypt and Hospitality Management at Tennessee State University. Her background includes Social and Corporate Event Planning, Hotel & Club Management as well as Hospitality & Event Consulting. 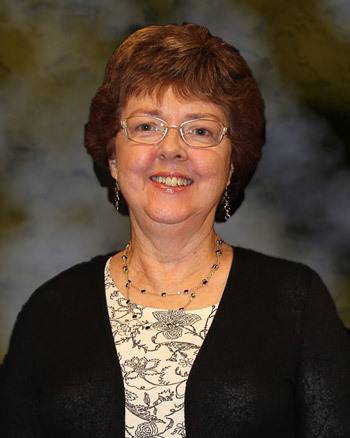 Mary currently serves on several Boards in the community and is the Chair of the Bolingbrook Planning Commission. In her spare time Mary enjoys watching her sons play soccer, playing tennis and traveling..
Guadalupe assesses client circumstances and helps them identify all their options related to housing. She assists and advises clients in a number of ways - from preventing foreclosure to buying a home - always working to protect her clients’ best interests. 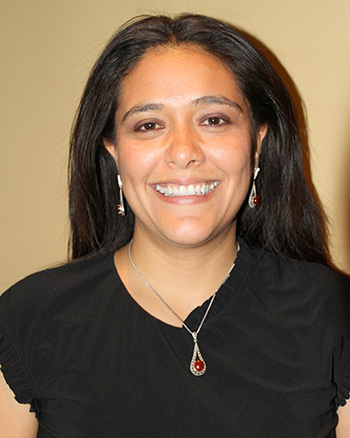 As a bilingual counselor, she’s able to assist both English and Spanish-speaking individuals. 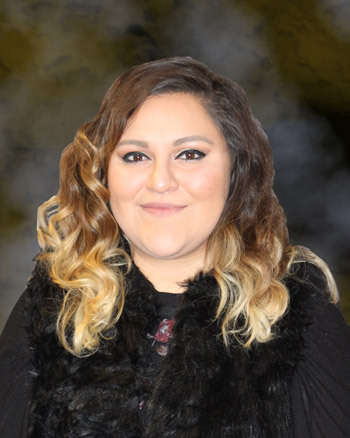 Guadalupe educates her clients about the types of documentation that mortgage companies need and is often able to contact a client’s mortgage company on their behalf. By taking each client’s personal situation into account, she’s able to formulate the best plan for each individual case and is able to prepare them for communicating with their lender. She also assists clients with preparing a spending plan so that they can afford both their monthly housing payment as well as their living expenses. Often, Guadalupe also provides clients with additional information about other local resources that may be helpful to them. 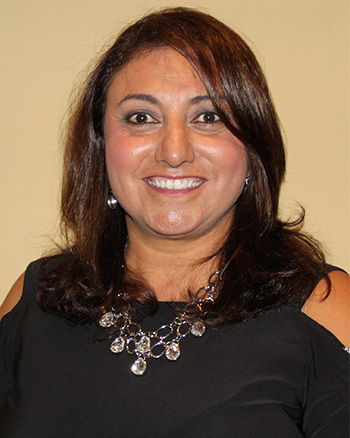 Guadalupe’s educational background includes a Bachelor’s Degree in Business Administration from the University of Guadalajara and an Associate’s Degree from the College of DuPage in Human Resources. She is also certified by the State of Illinois and NeighborWorks for: Homeownership Counseling, Pre-Purchase and Post-Purchase, Fair Housing, Financial Literacy, Health Insurance, Rental and HECM. Adopted the National Industry Standards for Homeownership Education & Counseling. She’s also a parishioner at St. Francis of Assisi in Joliet, volunteering as part of their domestic violence ministry as well as being involved in a CRHP group and several non-profit organizations in the Will County area. Denise holds a Master of Arts in Human Services Counseling specializing in Crisis Response and Trauma. She’s also certified in Homeownership, Pre-Purchase and Post-Purchase Counseling, as well as several crisis response and trauma counseling techniques. Denise is also trained in Financial Literacy, HECM, and Foreclosure Intervention Counseling. For the past five years, Denise has worked in the nonprofit sector gaining housing knowledge in many different areas. Her experience includes transitional housing, homelessness prevention, as well as housing counseling for homeowners and homebuyers. Adopted the National Industry Standards for Homeownership Education & Counseling. At CSC, Denise provides foreclosure prevention counseling for our clients free of charge - assisting homeowners in understanding the foreclosure procedure and helps guide them through the decision-making process as to whether they should stay in their home or to surrender it. She also provides pre-purchase counseling, where she assists home buyers as they prepare for home ownership - by going through financial education and the homebuying process. Lastly, she provides post-purchase counseling, where the new homeowners are educated in energy efficiency tips and assisted with financial literacy. As CSC’s Outreach Coordinator for the past 5 years. She previously served CSC in a housing counseling role for 26 years. Gloria is also a founding board member for H2O and is currently a church liaison. She’s also very active in her local church (Compass Church) with experience from various philanthropic positions from hospitality to women’s prison ministry. 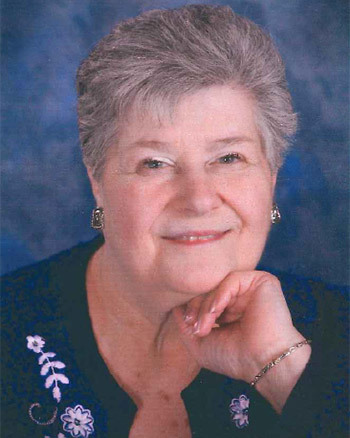 Gloria is a committee member for Citizens Against Abuse and has volunteered with Share Food (Romeoville & Bolingbrook) for the past 10 years. Adopted the National Industry Standards for Homeownership Education & Counseling. She’s been a Romeoville resident since 1972. And has three adult children: Lisa, Patrick, Tom and granddaughter Rachael. Gloria is obviously very active in her community helping out many fundamental organizations. Ariana has 6 years of experience working in housing. She's certified in Healthy Housing, Homeownership Counseling, Post-Purchase Counseling and is also trained in Financial Literacy, Rental Counseling, Foreclosure Prevention and Pre-Purchase Counseling. Adopted the National Industry Standards for Homeownership Education & Counseling. 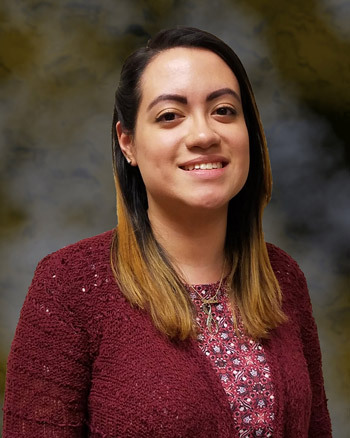 As a Housing Counselor at CSC, Ariana provides Rental Counseling and Financial Education, as well as information on the multiple housing programs the organization has to offer. Ariana holds a Bachelor’s in Psychology and two Master’s Degrees, one in International Studies and another in The Social Foundations of Education. 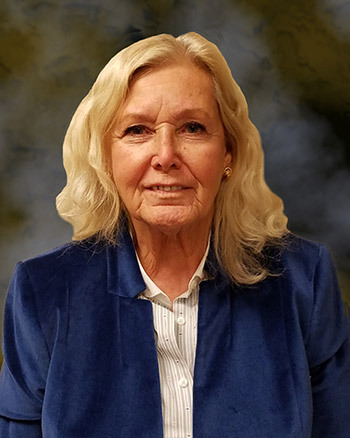 Kathie obtained her Bachelor’s and Master’s Degrees in Social Work from Aurora University and obtained a certification in Addictions and certification in Eating Disorders from College of DuPage. She has over 20 years experience working for CSC in clinical counseling in the areas of: anger management, domestic violence, self-esteem, addiction, depression, life coaching and mediation. Kathie is a certified Divorce Mediator and First Responder trauma debriefer. 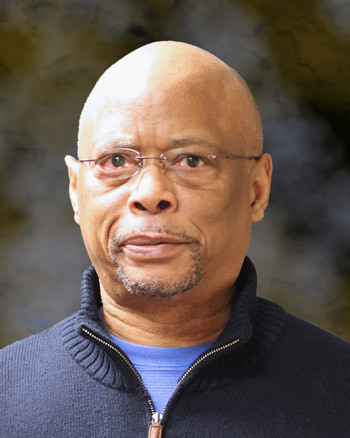 Wayne is a Licensed Clinical Social Worker and Certified Supervisory Alcohol and Drugs Counselor serving clients for the past 25 years. He has specific expertise in treating individuals who've experienced trauma, including sexual trauma and Post-Traumatic Stress Disorder (PSTD). Wayne also has 15 years of Domestic Violence and Anger Management experience, providing individual and group therapy for this population. He is a graduate of the University of Illinois at Chicago's Jane Addams College of Social Work and holds a Master's Degree in Clinical Social Work and a B.A. in Psychology from Northern Illinois University. Brittany earned her B.A. in Psychology from Illinois State University and her M.A. in Clinical Psychology from Governor’s State University. She’s licensed in the State of Illinois to diagnose and treat mental health related matters as a Licensed Clinical Professional Counselor (LCPC). Brittany has significant clinical experience counseling children, adolescents, adults, couples and families with various types of concerns and issues. She’s certified in Domestic Violence Therapy and co-facilitates several Partner Abuse Intervention Programs for court mandated offenders; both men and women. She’s also certified in mediation for family and neighborhood disputes. Outside of serving clients at CSC, Brittany also runs a Recreational Therapy practice called HykeLyfe where clients hike in Palos Park during their counseling sessions. Heba obtained a Bachelor’s Degree in Criminal Justice from Westwood College in Chicago IL before obtaining her Master’s Degree in Clinical Mental Health Counseling from Capella University. 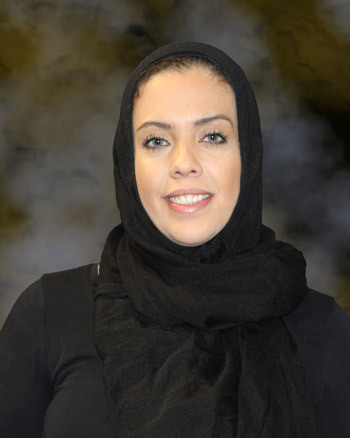 Heba also obtained training as an Alcohol and Addictions Counselor at the College of DuPage. She’s heavily involved with a variety of courts in order to keep clients, offenders, and agencies in proper adherence of the laws/guidelines of each case. Heba is also fluent in reading, writing and speaking the Arabic language. Besides her love for her work and helping people, Heba’s passion is boxing and training for Spartan Races and one day hopes to incorporate fitness with counseling. 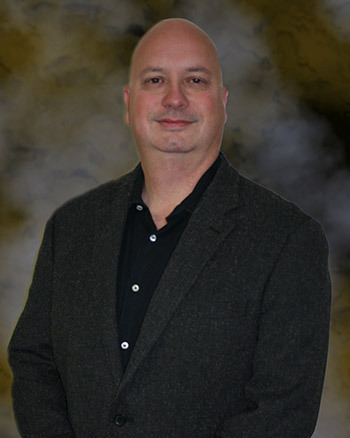 Asker B. Smith is a Certified DUI Evaluator and Substance Abuse Counselor. 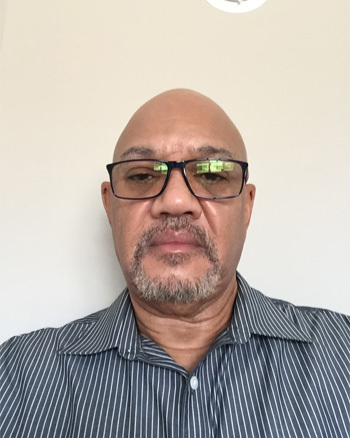 Asker obtained his Post-Graduate Certificate in Substance Abuse Counseling from Adler University after receiving a Post Graduate Certificate in Psychology, Masters in Education, and Undergraduate Degree in Applied Behavioral Sciences from National Louis University. Asker also obtained an A.A.S. in Criminal Justice from Moraine Valley Community College. A retiree of the United States Postal Service, Moraine Valley and Prairie State Community Colleges, Asker has dedicated the last twenty years of his life to helping others. He committed to obtaining the training and education required to become an effective and impactful counselor, and over the last four years, has focused on treating adolescents and adults, with various issues, including substance abuse. In addition to his passion for counseling, Asker enjoys exercising, gardening, reading and spending time with family and friends.